​To purchase on-line, use the button below. If you prefer to buy in person, the Venables Theatre ticket office, located at 6100 Gala Street in Oliver, is open on Tuesdays, Wednesdays and Thursdays from 10:00 am to 3:00 pm. You can also buy by phone at 250-498-1626 during the same office hours. Planning a group outing for your friends or for your office? Discounts are available for groups of 10 or more. Use Promo Code "GROUP" online or you can visit or call the Venables Theatre ticket office at 250-498-1626. 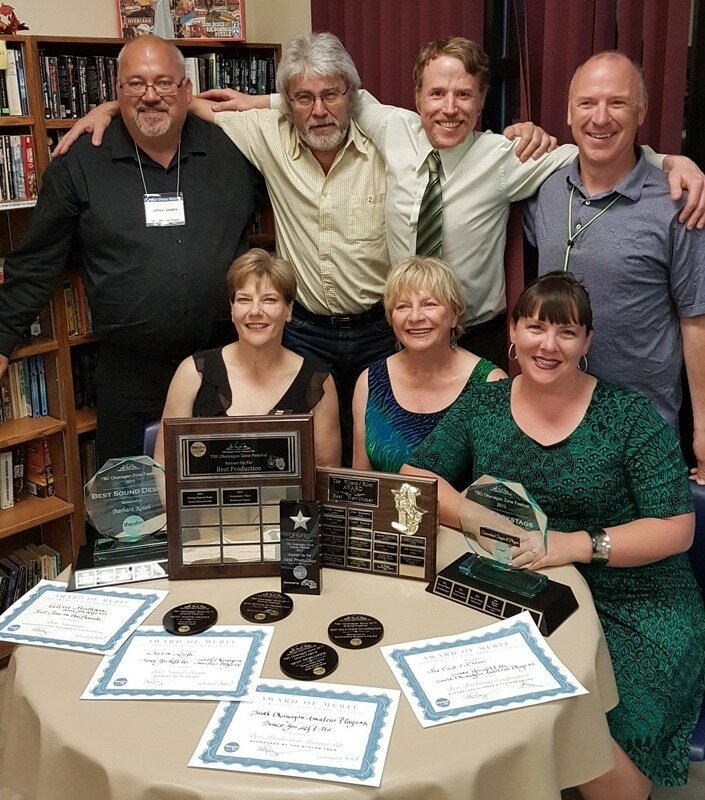 It's a Wonderful Life - a Live Radio Play concluded its run on December 9, 2018 to a string of appreciative audiences. 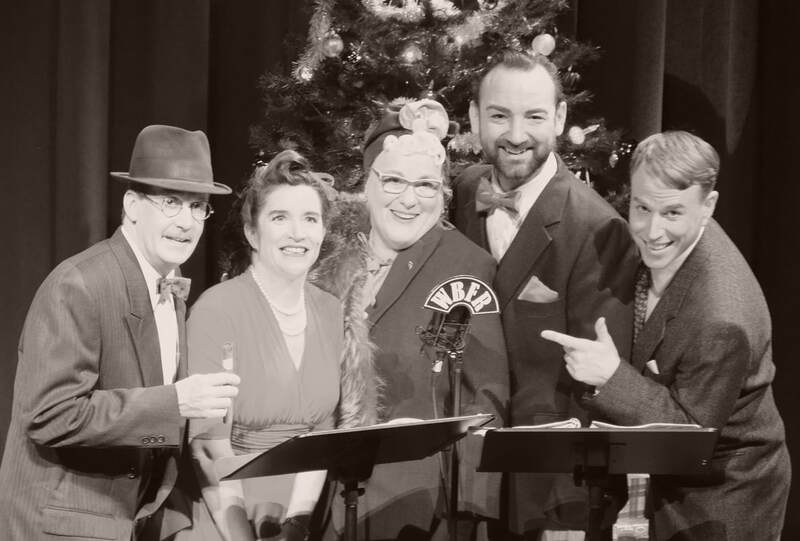 This remake of Frank Capra's holiday classic took to the stage as a live 1940s radio play utilizing period costuming by our very own master costumer Bernice Myllyniemi and live, on-stage sound effects by Foley artist, Tom Szalay. The talented cast of five (Jeff Smith, Keren Hawett, Bertie Barens, Vance Potter and Curtis Boomhower) brought over 20 characters to life through an amazing range of voice characterizations. Ritchie Kendrick kept thing moving on schedule as stage manger. It's a Wonderful Live was directed by Trevor Leigh. We want to congratulate the Producer, Director, anf the entire cast and crew on this fantastic run! Set in her once-charming East Vancouver home, we encounter a peculiar relationship between Denny and her "fur-son" Jack, a very senior Jack Russell Terrier. Denny's siblings, Mike and Fanny, each carry their own baggage; and after meeting their mother, Dolly, we realize the apples have not fallen far from the tree. Mike's long-time friend, Chuck, shows up for Dolly's birthday party because.... well let's just say it's not to visit with Mike. Rounding out the family tree is Fanny's son Danno. Although we can hardly blame Danno for having run away, he really was lucky to be born into this family. 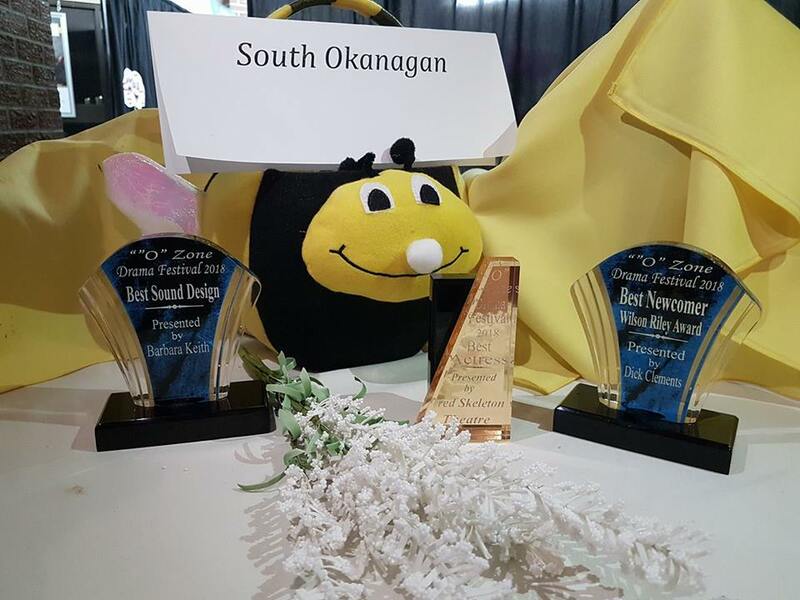 ​See the Ozone News Release for full details of all awards at the 2017 festival. Please support our local sponsors! Post your comments...visit our BLOG page.